Channeling "The Message of the Noosphere Teachers through thef for June 2018". Channeling "The Message of the Noosphere Teachers through thef and the fartran mediator, for June 2018". Energy forecast, rhythms of the current time. Hello, friends. With you, the Noosphere Teachers through the Zef channel and the fartran mediator. Before you listen to this message, please tune in to the rhythms of the Noosphere, the streams of pure white energies, a certain frequency, heat, light, clean energy, a clean channel. Tell yourself: "Now I have access to these frequencies, I just enter them." Take a deep breath - and show pure light, clean channel. Perhaps the image of a ladder or tunnel, or the image of a Teacher who calls you to himself, will appear. Or just the flow of energy with which you have long been familiar, have long known it, since the Noosphere is your "energy house". You come from it at the time of your birth and go there, ending your incarnation. Therefore, for most people, these energies are close, understandable, and they are quickly tuned to them. Continue to configure - and in the process of cleaning, connecting, coming into a resource state. Why do we always connect first to the Noosphere and to these energies? The topics we are talking about require moving energy, moving consciousness and higher frequencies than there are in your household arsenal and how you used to live, doing your everyday tasks, feeling yourself a person, living in dense processes. And, accordingly, we just raise a certain bar, frequency and return you to the conditions of the primary energy - the one where you were before the project "Earth - Mankind", to the conditionality that you acquired at birth. This is all you need - and your conditioning, and your karmic tasks, your personality, your incarnation. This is all very important and necessary, especially in your dense everyday tasks. But now, when we talk about spiritual issues, about more subtle issues, you need other qualities of your Self, your "Higher Self" and your arsenal of high frequencies that are inside of you and are just pushed out of your consciousness, into the subconscious area. Accordingly, we set everyone up for this frequency ... on this wave. And if you have not already switched to it, then go along with us. 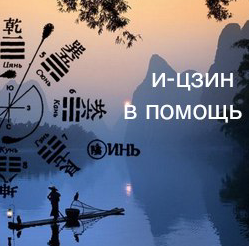 It was already announced earlier that the summer of 2018 you are waiting for a certain transition, in new rhythms. It is difficult, again, to limit this transition only in June 2018 and say that this is the energy forecast for this time and it is outlined in such a framework. No, but June is the key phase in this matter, and since June everything begins for the Earth, for man, for near-Earth Space. In general, the processes we are talking about will work somewhere until September, until the fall. As you can see, the Earth constantly turns into some new phases, the person is constantly given new energy, the near-earth space is constantly being rebuilt - everything is in constant motion. And, accordingly, the transition, which we will now talk about, is not the first and not the last, but very important, if you are on the path of spiritual development and are interested in the issue of the so-called "quantum transition", for example. Someone says about the "transition of dimensions" and so on. Each time different terms are used, but in one way or another the process, in principle, one, is covered simply from different sides. And then came the period when the Earth is making a new turn. In general, the transition to the quantum level, into new dimensions and the development of consciousness looks like a big-large spiral on a subtle plane. And the Earth moves nonlinearly, and the human consciousness moves also nonlinearly, everything has a "trajectory of a spiral". And when you enter a new cycle, you go through a certain circle. And sometimes it seems that the consciousness or events, or the Earth, are returning to their own places. Those. there is, for example, a crisis, there is a decline in energy, a decline in emotions, a decline in the psyche, a transition to the subconscious level, a transition to certain lower worlds, lower energies. Then there is again the build-up of energies, the movement ... the process moves-moves-moves, the upper energies are revealed, and then it may seem that again everything comes to its own. On the one hand, on the other hand, not quite, because in each turn you are making a "little step up", but you come back to the opposite point. And then again upward, and return to the opposite point. It turns out a movement in a spiral, just in different dimensions, and in a constant movement, in evolution. Accordingly, depending on whether you are doing this together with the Earth, this "step up", going back to the first point, or staying at the same frequencies and will mean how your life unfolds. Those. The earth inevitably moves along the trajectory, returning to the first point, but each time makes a "little step up", you can move around in a circle without taking this step, or move with it. And now there is just such a certain turn, when the Earth returned to the reverse phase, but with the movement upwards, and again a new spiral turns, ie, a new movement is initiated. Accordingly, new energies come, new information comes. And all the space around the Earth, it is rebuilt. The Earth is given a powerful energy release, then a certain stagnation occurs. Then again a powerful release of energy, then a definite stagnation for restructuring, energy release, and stagnation. And, accordingly, this summer, when this way the Earth will go spiraling upward, will be the same, a bit unstable. Those. on the one hand, there will be those who move also in a spiral and develop, there will be a feeling that you are moving, but then stop, move, stop, move and stop. The movement will end with an even greater stop, including stabilization. Because the energy will be more than used to it, and, accordingly, the more energy, the better the digestion, and there must be a certain time for rest and for perestroika. Therefore, we would recommend that you build the summer through such micro-chutes. When you have an inspiration, energy for something - do what you think is important, what you want within your spiritual, personal and other development. Then understand that after this comes a certain stability - stabilization, when you need to think, slow down a little, digest what has happened to you, outline new plans. And then again: inspiration - a step - and again stabilization. You may think that, in principle, in your life it does. That this is a "normal pulsation", and the human consciousness does exist - moves - stops, moves - stops. The difference of summer from, from the general rhythm, is that if you stay in this movement, then on low frequencies in the summer there is a possibility not to drop. Those. yes, pulsations are always included in the "project humanity" - but if you look, then the ripple is usually chaotic. Those. then the consciousness jumps up, it is very much down, depending on your incarnational developments, ties by gender, links by profession, family ties, egregorial gender and so on .... social, informational. And constantly your consciousness pulsates to the rhythm of your bindings and your karmic conditioning. Here it is somewhat different. Those. there is a kind of linear movement, constantly interrupting. You can say that this is like one course, when the train is on the rails, it moves, moves, stops, moves, moves, stops, but does not fall down and does not climb very much upward. Those. here there is a linear movement, at the chosen rate. The course each of you will choose your own. We would recommend to think, to contemplate your plans, ideas, thoughts. Summer is always energy-saturated, in addition to various transitions, opportunities, processes of the Earth, time is just energy-saturated. Time to work with the body, time to work with the mind, time to work with relationships, time to work with the profession, changing jobs, changing places of residence, perhaps working with a hobby, more free time becomes in summer, holidays, time for reorganization. There are plenty of opportunities for movement, energy, the sun itself will energize you, and each cell will be saturated with a fiery type of energy, which in itself gives movement. And try to just feel like a "wave" that moves steadily, the course of which you are starting to feel, try to stick to the linearly chosen course, monitor your emotions, thoughts, reactions, so as not to make sharp jumps in the psyche and energy, then down and up . Set yourself up just for a while, and do not pay attention to stops, just feel like people who have a certain course, understanding, knowledge, desire and strength of this course to stick with. Let's repeat, and each course will, of course, have its own individual, a very large number of people listen to this message, and it is impossible for everyone to predict its path. And if you listen to this message, the Teachers are likely to work with you, they help you and guide you. Therefore, you just need to closely monitor the area of ​​your intuition, your desires, what is already unfolding in front of you, which is already in your life path. Accordingly, the June transition as a whole could be called such a "quantum transition", defined by the "quantum loop", when everyone makes a certain leap, and passes new energies. In general, if you listened carefully to channeling before on the subject of "planetary grid", on the topic of what is happening, in addition to various transitions and evolutions and problems in this regard. You could notice that each time the "energy from the source" is indicated. Those. The Earth is in a certain "experimental field", and in this "experimental field" the person evolves, the structures of near-Earth space evolve that exist within the "Earth-Mankind" project: i.e. it's Civilizations, Reason, Artificial Intelligence, Teaching Systems, these are the software mechanisms that serve and develop together with you. And everyone is in a certain experimental formation, an "experimental domain", in a certain outlined form. And this impersonal form from the first energy, from the Level of the Creator, was sent by Impulse a long time ago. The impulse, too, can be called its first energy, which changes the Mankind and raises it to a new level. And, accordingly, the terrestrial energies in which you are and which you are generating differ somewhat in the "frequency range" from those directed to the person, and at a certain Point you will meet. This will not happen today or tomorrow, or soon, but at a certain Point you will still meet. And your task, from incarnation in incarnation, including, besides the mass of tasks and experience that you get, just the same move to evolution, to a certain Point, to connect with the first-born, with the first-energy. That's why there are so many words, so much information, so much energy goes just in the direction of the unfolding of the first-born, the first-energy. And there is as much information as there are various other energies and proposed circumstances on the Earth. Those. people of different types who came to Earth from different levels and live their many-sided experience. And you ask: how do all of you, from different levels of consciousness, from different levels of the state of the psyche, physics, physical body, knowledge, come to the first impulse, meet with the first impulse, with the First Energy? Will there be no victims, will there be frequency mismatch, that some part, as people say, "maybe reset", some energy "will not fit," and so on? This is very complex, on the one hand, the question, on the other hand, the first energy, which is released towards Humanity, it is still universal. Those. you created the creator in your own image. In its resemblance, in a huge fan of sub-frequencies, podvariatsii, possibilities, psyche, mental state, the state of the physical body, thoughts, levels of work with the ego, levels of work at the Soul level, or lack of work and so on. Those. This is all possible variations in a huge fan, and this is all similarity, i.e. this is all the original Creator, and his plan. And, accordingly, the energies which, on the one hand, are released toward the Earth, Mankind, into the "experimental domain" are quite high, on the other hand, they are adapted to a multitude of bodies, a lot of consciousnesses and opinions, and, if so, and your development. Just the question is, who will consciously interact with this first energy? 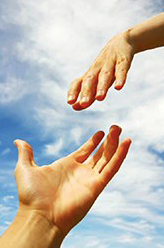 Who consciously meet at the Point of contact of your earthly experience, development and First Energy. Those who are closer in frequency, he will consciously accept this meeting. Those. he will be able to perceive it, he will be able to understand it and for that it will be a transition, this opening will be the crown of his evolutionary development. And, accordingly, we can only help you with different information, energy to be more aware, more sensitive and each time to raise your bar of sensitivity, awareness and observation of yourself and the world around. Those. we are only assistants - the rest of the work, it is included in every person. And those people who listen to this message, you make an informed choice, a conscious step, and we are ready to help you further in this matter. If we talk technically about how the transition will take place and what happens for the process, and from the point of view of the person himself and the physical body and consciousness, the main component here is not the subtle bodies, not the chakras, not the head computer, not the consciousness itself Yours, and the dominant role is played by your cells. Cells are a definite reservoir, a storehouse of various kinds of information-energy. Roughly speaking, "a cell is a cell". It performs a certain function associated with energy, with physics. It builds your physical body, it helps build your energy. A set of cells builds, for example, your chakras, subtle bodies - i.e. the focused radiation of the internal organs then forms a field around you of a different nature, everything is programmed and, accordingly, different energy centers will be in different parts of your body. But the nucleus is one - a cell. And the cell stores a lot of various information, but also a cell, it is also a reservoir. And at somebody the reservoir cells are not filled, someone is gradually filled, someone else is quite filled, and there is a lot of energy-information there. And the sensitivity, and the opening of consciousness, what we talked about before, it is tied just on the cells. Those. the more you fill your cage with high-frequency energy, the experience of your consciousness of staying on high-frequency energy, contact with the energy of your Soul, contact with Teacher's energy, contact with some high-frequency channels. Those. The more you gather the high-frequency experience, the larger your cage-tank, your store is gaining these same frequencies. And then you start to radiate them, and the world around you, accordingly, starts to be formed in the same way. People who do not engage in spiritual practice, for example, now have some other karmic tasks in life, they have a different way of thinking, they have a different level of consciousness, they have not yet had time to do it, their cells, respectively, are collecting another density, other energy: everyday, interpersonal, related to the work of the ego, related to the work of the social world and so on. Their cells are filled with this kind of energy and keep them, respectively, in space and time, at that level. We do not say that some level is "bad", but some level is "good", no. Simply there is a certain given and there is a certain pattern of human development, in time and space. You could also engage in completely different, everyday affairs many thousands of years ago, and people in parallel to you, although there was no Internet, did not have audio, there were no means of communicating information, but they tuned in to the Teachers, and they made a definite transition there. In this case, you generally could not know about this, about these circumstances. Those. here we are talking about identity and say that every state of a person and all his activities is a regularity. And we simply share it visually, visibly, so that you understand that there are cells all, just the question is what you fill them with. And now people who are engaged in household things, they are now tasked to work in such a field, in this range. People who are now engaged in spiritual practices, as often as you can, fill yourself as much as possible with spiritual energy, as high as possible. And, accordingly, if we are talking about Transition, every your appeal to the spiritual world, to the subtle world as you understand it, it creates accumulation in cells. And the accumulation of this can be infinite, the cell in its function is bottomless, i.e. every time when it seems to you that you are already filled with energy, inside the cage "a new dimension, a new space" opens up, a new opportunity to fill. Therefore, your spiritual development, and meditation, and work on yourself, including, seem to be endless. There should not be any competition here, "and I've gone through more meditations, and I've gone less meditations", "but I hear, I see Teachers, but I do not see." Those. here there is no competition, there simply is the opportunity to move and understanding the need to be in such a field, in order, including, to correspond. And if we say, we return to June 2018 and, in principle, the whole summer and the processes are farther, then in this range the "cell practice" is just an important practice. A certain such shift, then you can work in the field of cells. And a few days ago, through the mediator at the seminar, practice was recorded when a small group did this practice, "cell feeding", and it will be attached to this channeling at the very end. And you can also join this movement, this stream, practice. Those. if we are talking about practices for June-July-August, then this is "cellular meditation." And their peculiarity is that they must be long. Those. the longer you are in this state of contemplation of the flow and contemplation of your cell, the transmission of this energy, the more it is absorbed and accumulated. And if you regularly work with high-frequency energies, let them pass to the level of cells, and feel your cells, understand that within you there is such an education that literally accumulates energy as a sponge, then, most likely, having passed regularly this cycle June- July-August, by September you will feel quite a serious shift in your mind and, including, in your physical body, unless you, of course, now have other tasks and some elaborations. Therefore, our recommendations after all the explanations, after telling about what is happening now and what will be such - "cellular meditation", we specially recorded it for you and it will be attached at the end of the channeling. I would also like to note before we finish this traditionally recommendations on practices and nutrition, as well as traditionally favorable, unfavorable days in this cycle of the rhythm of the month. On nutrition, practitioners here again everything is standard, from month to month we will repeat it. More movement in the fresh air. Summer time ends quickly, the sun is often not enough for you, and those three months in which you are out in the fresh air and in the sun are precious. Try to be as much as possible in the fresh air, in motion. As much as possible to consume fresh products without additives, without mixing with each other. Exceptions are some stressful situations in which you can get into your karmic rhythms, when you want more heavy food mixed with each other, complicated and so on, this is normal. But if you are not in a state of stress or post-traumatic state, when your life is more or less leveled, and you are in a more or less normal state, then, of course, these are fresh light foods and saturate yourself as much as you can. These are seasonal berries, these are seasonal fruits, seasonal vegetables, greens combined with what you think is necessary. By practice - as much as possible stay in the fresh air and work with your body. Concerning favorable and unfavorable days. We have introduced this concept since some time, since the Earth still has not only global cycles, but microcycles, and in part you are attached to them. We would like to note the following days in June 2018 specifically. These are the 3rd, 7th, 10th, 13th, 21st and 27th and the full moon after. At all these days act differently, we already talked about this too. Acting on you these days or not, you can see by tracking these days in the present tense. Those. this is considered unfavorable rhythms, for certain reasons, you can listen to the record before. These days, we do not recommend any important business, purchases, tasks, try to restrict communication, you can take it in some kind of conflict field and so on. And listen to these days, but also know that they are not absolute and, again, they work specifically for you or not, you need to already look in real time. Look, write down these days and see what will happen to you - in June, next month will draw conclusions, whether you feel some kind of power-line in these days or not. If not, then you are a person who does not enter into these rhythms you live in "solar rhythms", and not "lunar rhythms". If you, like most people are sensitive to micro-beating rhythms, then you will see obvious changes in these days for energy, consciousness, interaction, events and so on. So, watch, track in real time. Here, probably, everything. Practice, transition, events, where, what and how and why. We tried to outline you. With you were the Noosphere Teachers through the Zef channel, the fartran mediator. See you in the next messages, and then in the record will practice for the summer. In the audio it will be at 34:15.